By Tommy Goudge (August 17, 2018) – London, Ontario – The 23rd season of Southern Ontario Sprints racing continues this weekend when the tour heads to Ohsweken Speedway and South Buxton Raceway for rounds six and seven of the 2018 schedule. Cory Turner leads the SOS championship points standings heading into this weekend’s events, while Cory’s brother Ryan Turner is just 22 points behind. 2013 champ Chris Jones is third in the standings, followed by 2016 & 2017 champ Dylan Westbrook, Jamie Turner, Shawn Sliter, Steve Lyons, 2001 & 2006 champ Warren Mahoney, Frank Baranowski, and Paul Pekkonen. Both Cory and Ryan Turner have already scored SOS wins this season, along with Dylan Westbrook. The Friday, August 17 event at Ohsweken pits the SOS tour regulars against Ohsweken’s weekly 360 racers, though many drivers can be found in the championship points standings for both the SOS and Ohsweken. The SOS tour has competed 104 times at Ohsweken since the banked 3/8 mile oval opened on June 16, 1996. Keith Dempster and Glenn Styres are tied atop the all-time SOS feature win list at Ohsweken with eight victories each. Dylan Westbrook was the victor in the 2017 SOS vs. Ohsweken event. Along with the SOS, Friday’s event is in support of the Canadian National Autism Foundation Kids Race program, and also features Crate Sprint Cars, Thunder Stocks, and Mini Stocks. The Saturday, August 18 event at South Buxton will find the SOS tour back where it all began; the inaugural SOS race was held at the unique D-shaped 1/3 mile track on May 18, 1996. The SOS tour has competed at South Buxton 37 times since that first event, with Mike Ling still leading the all-time SOS feature win list there with five victories. Dylan Westbrook swept both SOS visits to South Buxton last season. Along with the winged 360 Sprint Cars of the SOS tour, Saturday’s event will also feature South Buxton’s Late Models, Modifieds, Thunder Stocks, and Mini Mods. 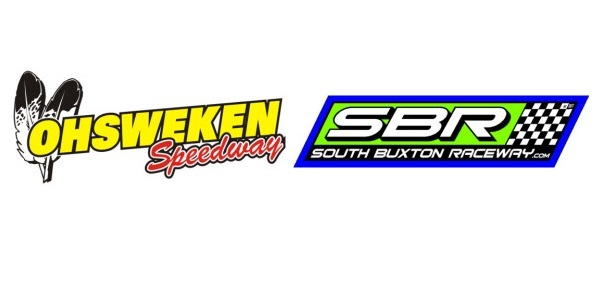 Ohsweken Speedway – Friday, August 17, 2018 – Racing begins @ 7:30 p.m.
South Buxton Raceway – Saturday, August 18, 2018 – Racing begins @ 7:00 p.m.
About the Southern Ontario Sprints: Founded in 1996, the Southern Ontario Sprints series is a traveling winged 360 Sprint Car tour based in Ontario, Canada. 2018 marks the 23rd year of operation for the Southern Ontario Sprints tour. The 2018 schedule consists of 12 events at four different race tracks in Ontario; each SOS tour event pays a minimum of $1,200-to-win and $240-to-start. Visit www.SouthernOntarioSprints.ca for more information. The Southern Ontario Sprints would like to thank their 2018 partners, including Brighton Speedway, Merrittville Speedway, Ohsweken Speedway, South Buxton Raceway, the National Sprint Car Hall of Fame and Museum, www.ImageFactor.ca, and Kreitz Oval Track Parts. 2019 SOS season starts SATURDAY! Former SOS Champion and Vice-President Garry Evans passes on. Copyright © Southern Ontario Sprints & Image Factor Media.